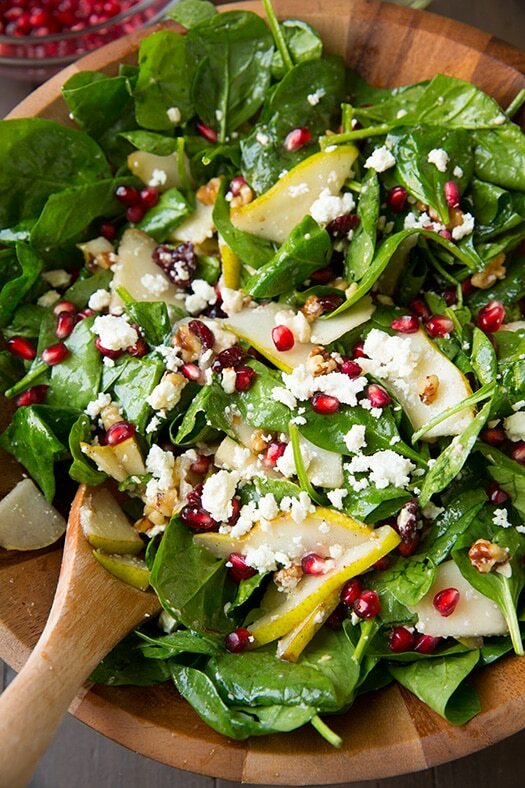 With the holidays just around the corner it’s definitely not too early to start planning your holiday menu. My family is going to be coming to my house this year so I know I’ve been thinking about what I’ll be serving already. Today I was thinking about which salads we’ll be having so I thought I’d test some out. 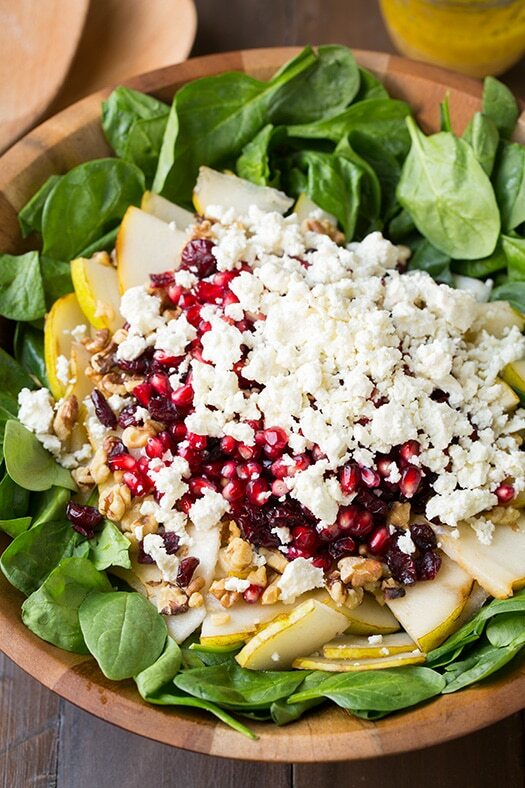 I happened to have a bunch of pomegranates on hand so I decided to build a salad around those. 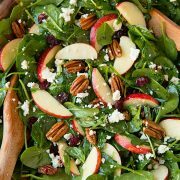 I love how festive the arils look in this salad when paired with the greens, and of course I’m in love with the entire flavor combination of this salad! I first tested a salad which was similar with bacon and believe it or not bacon just didn’t seem to have a place with this type of salad. It’s probably the first time I didn’t like bacon in something. 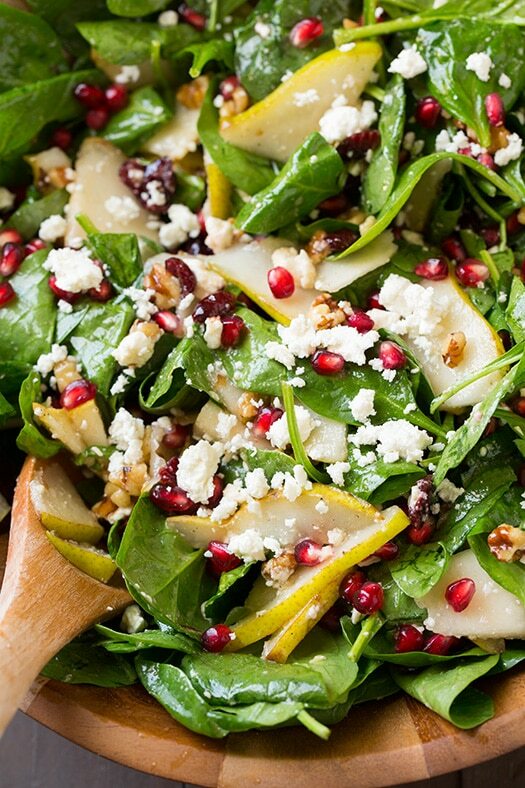 I just love the fruitiness and sweetness of this salad without the overwhelming distraction of salty pork. 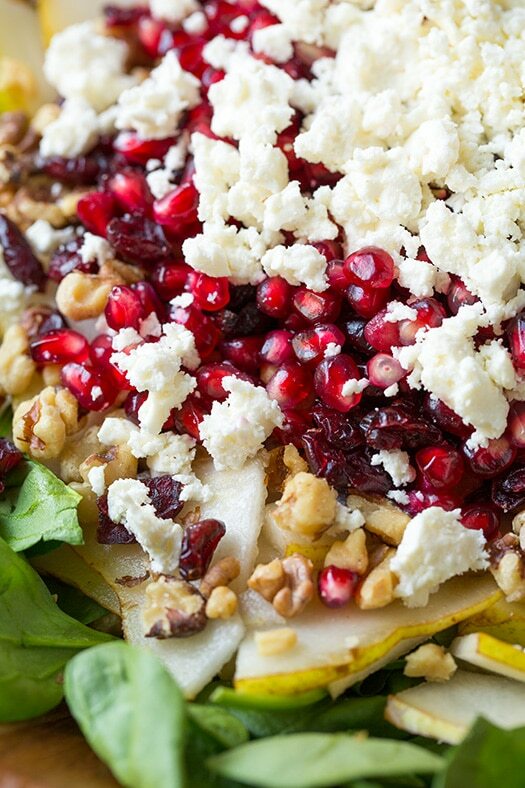 I do however love the slight tang of the feta and depth of flavor from toasting the the nuts paired with the sweetness of this salad, they just balances things out. I also really enjoyed the faint honey flavor in the vinaigrette which I felt brought the salad and the dressing together while it’s gentle sweetness toned down the acidity of the dressing. 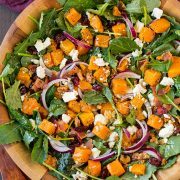 This salad has definitely made the cut for my holiday menu (I don’t think I’ll want to wait until the holidays thought to make it again)! I hope you love it too! 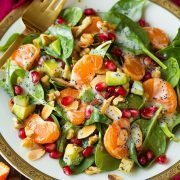 This colorful salad is brimming with fresh flavor it's it's perfect for the holidays. Vanita: I used walnut instead of olive oil and pomegranate instead of cranberries. I also sautéd the pear slices to intensify their sweetness (in contrast to the sour dressing). The result was super tasty.